Undoubtedly one of South Africa's most beloved and well known actresses of time, Xolile Tshabalala is making a return to SABC1 with a new drama series, Ingozi. Since leaving Generations, Tshabalala has not achieved much attention for her work but with the new drama she is set to reclaim her position at the helm of South African television. Created by Duma Ndlovu, Ingozi is about three different families from different backgrounds and how their lives are torn apart by the events of one night. Also making a return to the small screen is Mmabatho Mogomotsi. Many may have forgotten about her but she too was once a well known face during her stint on Generations. She is known in industry circles as one a competent actress who has honed her acting chops both on stage and screen. The show also stars Jet Novuka, Senzo Radebe, Lunathi Mampofu, Wiseman Mncube, Nkanyiso Mchunu and Molobane Mbatha. 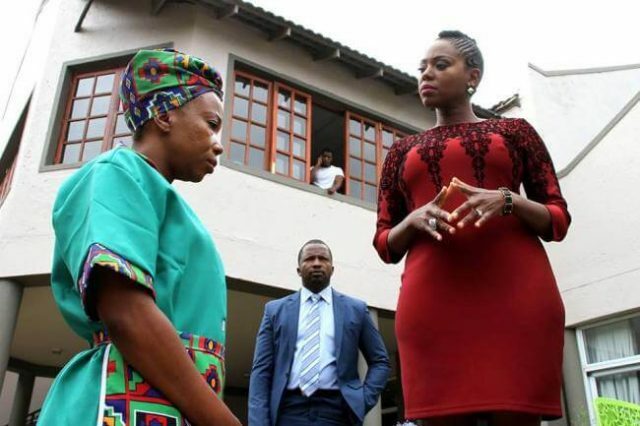 Ingozi premieres on Sunday, February 12th at 7:30PM, on SABC1.